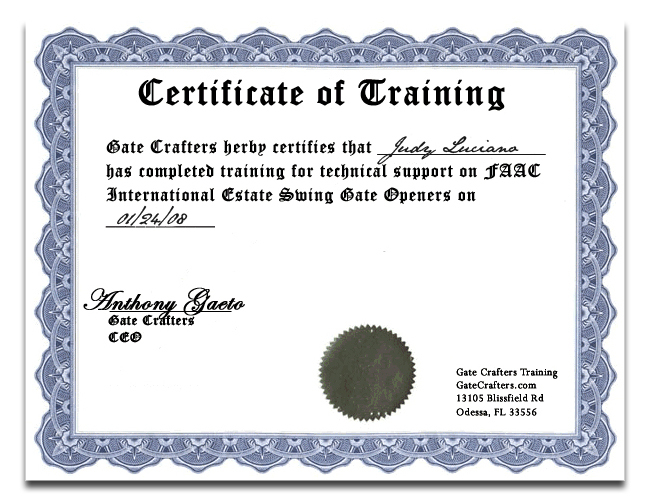 Estate Swing: ES502, ES1602, ESU2200, ES300, ES1100, ESC1102, ESU2202, ES302, ES1102, ESC1600, ES500, ES1600, ESC1602, ES-L 450, E-SL 1200, E-SL 1800, E-SL 2000AC, E-SC1102 Carriage Door Opener, E-SC 352 Carriage Door Opener, E-SC1602 Carriage Door Opener. You may have noticed a higher price on the 318 Mhz option, this is due to the product not being manufactured. 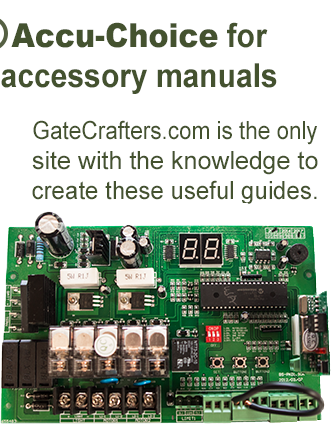 At GateCrafter.com our technical department is set up to make the conversion in this product ourselves to the 318 Mhz frequency however as we are not manufacturers this has a higher cost than what a manufacturer can produce this for. For cost savings our suggestion is to switch to Estate Swing 433 Mhz frequency. If you select this frequency and purchase an Estate Swing receiver you will save money and change to a modern frequency that has less interference, more reliability, and triple the range. You can continue to use your existing remotes with your old receiver still connected or you can upgrade remotes as well by purchasing these remotes. 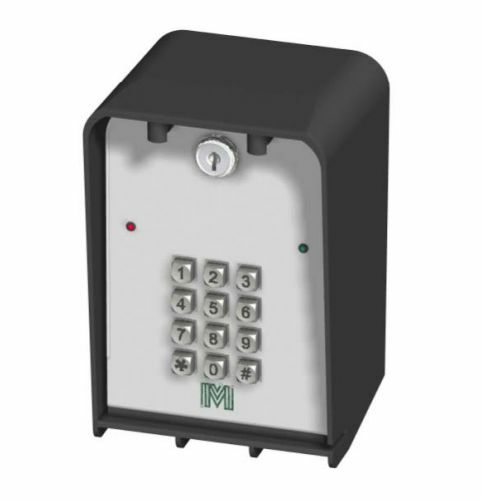 The wired/wireless Millennium Wireless Keypad has several distinctive features. It has 12 user-programmable options and can hold up to 1,000 programmable codes. Both keypad models can work indoor as well as outdoors. It has a injection-molded lexan faceplate and housing along with zinc-coated hardware. This durable, UV-Resistant exterior helps the keypad maintain its usability in even the toughest of climates. 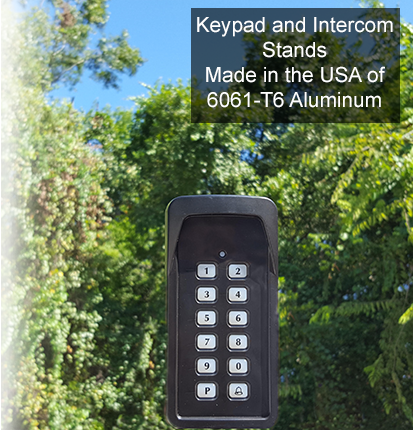 The Millennium Keypad offers flexibility because it has the ability to operate in either AC or DC applications. The ultra-low20uA current draw is roughly half that of other keypad models on the market. In terms of installation, the keypad allows for wall mounting or affixing it to a gooseneck stand. 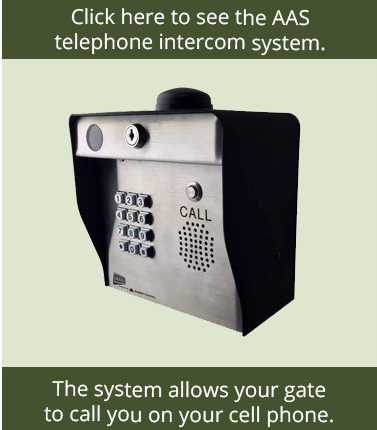 It functions with both AC and DC powered gate operators on both sliding and swing gates. We offer both wired and wireless models. Select the frequency above for your desired wireless model. “The Apollo Millennium Wired and Wireless keypad is available in multiple frequencies depending on your application. This keypad feature a injection-molded lexan body construction and is UV treated. It may not be the prettiest keypad on the market but it will get the job done. A great feature of the Apollo Millennium keypad is that it is available in multiple frequencies depending on your application. You can order the wireless version depending on the frequency you need to make this keypad work with your gate opener. This keypad features multiple programming modes that allow you add and erase multiple codes whenever you need to. This keypad is also compatible with both AC or DC applications.